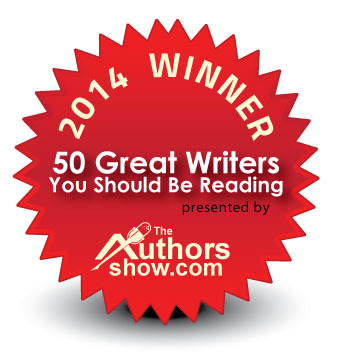 This page is dedicated to any awards I may be fortunate enough to receive which might arise from the writing of my books. It is also reserved for such items that I receive which I might consider special among life's treasures. I attended the 2013 Nuke the Fridge Convention in order to promote my book. There were a number of special guests. Among them were Brad Kersten and Angela Lee Sloan, the voices of Charlie Brown and Lucy. Angela suggested I give Sean Astin, who appeared as a guest signer, a copy of my book. I gave him a signed copy of my book and I was seriously surprised when he had someone record him reading from my book and told me to put it on YouTube...and here it is! 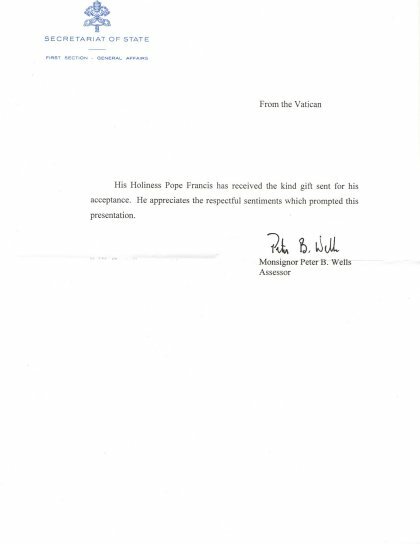 At the bequest of my Catholic friend, I sent a signed copy of my book, Christianity: Myths and Legends, to Pope Francis on January 2, 2014. I received this letter posted February 7, 2014. With all the millions of pieces of mail the Vatican receives, I am told to receive just these two sentences is a miracle in itself. I am genuinely honored to have received it. 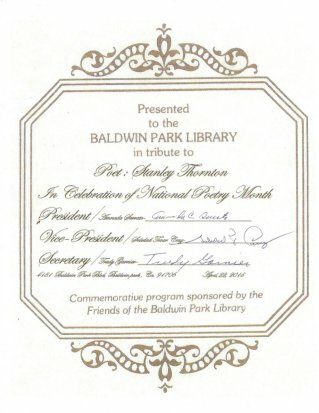 I was awarded this for attending a "Meet & Greet" at the Baldwin Park Public Library. Besides myself, there were also two other guest speakers who were poets. We were also blessed with having young poets from the school district, ranging between 5th and 7th grades.